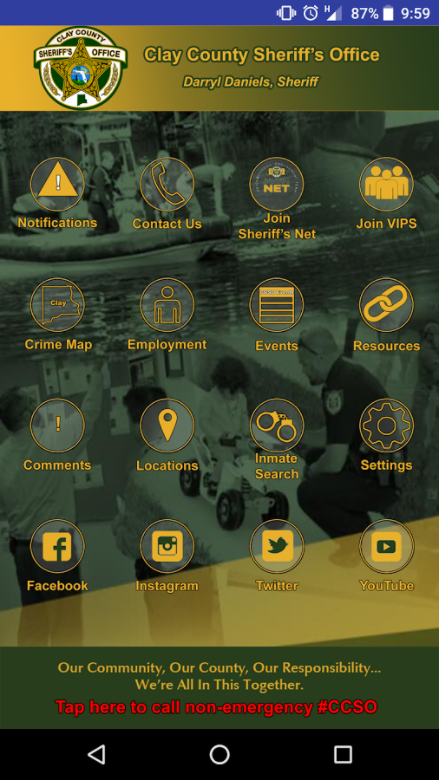 The Clay County Sheriff’s Office mobile application strives to provide excellence in communication between Law Enforcement and the Community. 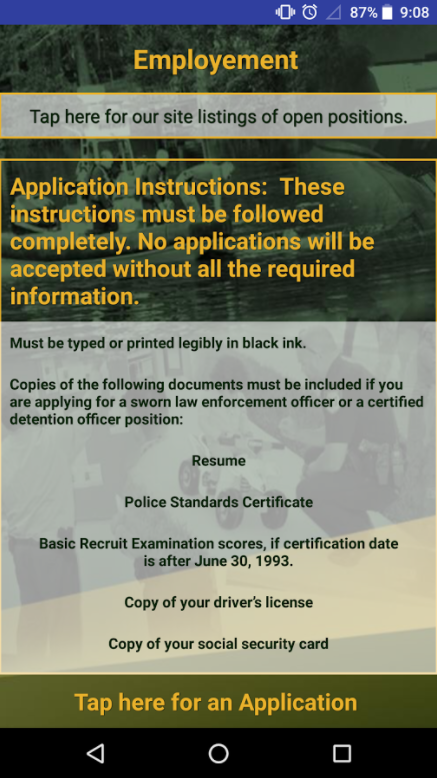 The application provides an interactive experience for users and allows quick access to local resources and information. 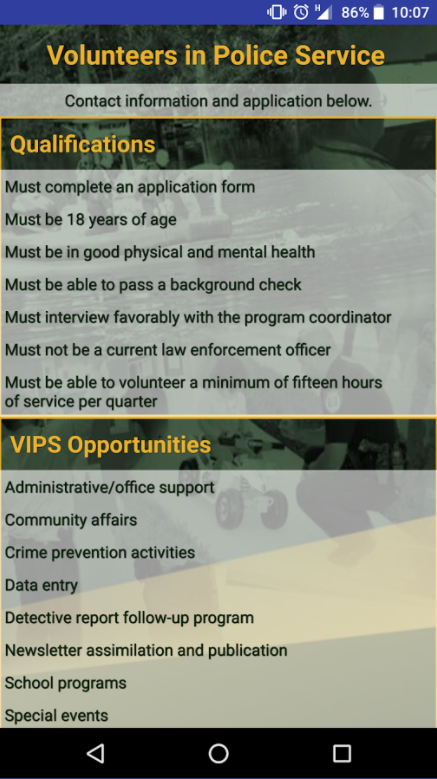 The application allows citizens to connect with the Clay County Sheriff’s Office by submitting tips, providing comments, employment information, Sheriff’s NET, inmate search and the latest news from the Sheriff’s Office.